We have theories, specialisms, regulations, exhortations, demonstration projects. We have planners. We have highway engineers. We have mixed use, mixed tenure, architecture, community architecture, urban design, neighbourhood strategy. But what seems to have happened is that we have simply lost the art of placemaking; or, put another way, we have lost the simple art of placemaking. We are good at putting up buildings but we are bad at making places. But back in the day before the term was even coined, Fletcher Triangle Park was a natural gathering spot for residents of the neighborhood now known as Windsor Park. PreviousWTH Weds: Beware the Bungalarbor! The after photos surprised me a little — how sad the modern scene looks. Wow, what a charming park it used to be. Good luck to the Windsor Park Neighborhood Association! 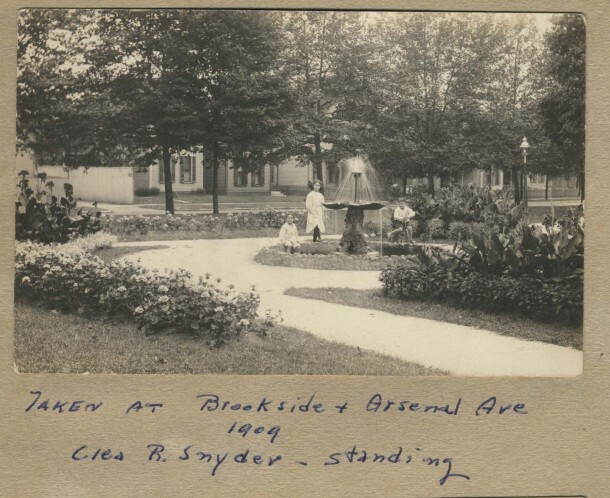 Remember this little park using Brookside Avenue taking the number 21 bus going downtown “over the years”and the older houses that adjoined the park across from Schwitzer-Cummins before they were torn down for more parking for the now closed company. The park and the houses provided a “sense of place” that you spoke of that unfortunately has been lessened across the city in a number of locations. Windsor Park was a comfortable middle income neighborhood augmented by Spades Park like the area further east along Brookside Park, along 16th. Grew up, as it were, in Brookside Park. Its a beautiful little park even now and we really want to make it something special again. As you walk it most of the original sidewalks are intact. In fact there are plaques embedded in them from the original company that laid them. I may be incorrect, but I attribute a number of these former well-maintained parks and spaces (like the Garfield Park sunken gardens) to German-American craftsmanship in the latter part of the 19th century and earlier part of the 20th…the same with Scottish love of landscaped areas, as well as English love of same…not discount other nationalities (like my Greek background); nevertheless, areas with these groups across the country have witnessed similar well-developed parks and public spaces during that era, like Saint Louis, Kansas City, Columbus Ohio, and so forth. Just my take on this. Thanks for putting the spot light on this park! As can vividly be seen from these ‘before & afters’, ‘placemaking’ can transform urban blight to urban haven. 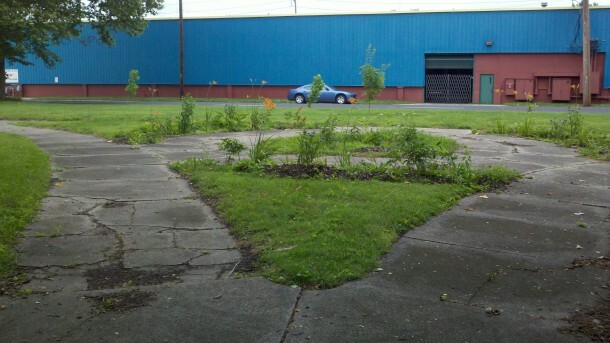 Windsor Park hopes to rebuild its identity through its unique triangle pocket parks, and these images make evident what can be gained through a bit of long term planning, work, and generousity by those who share this vision. Thanks, Martha. That is exciting news! Best of luck with the project! So glad to see someone taking an interest in this little park . I spent my child hood playing in this park in the 1940 throuh 1947 & was born in 1936. We lived at 1428 Brookside ave. My siblings and I walked up 11th street to school 33. Spent the first 5 years of school there. We had to move because Swizers and Cummings bought all the houses and tore them down. We always had a warm spot in our heart for our little playground. We will be watching for the day it will resume its right place in the area for a new generation of children to play there. Good luck with this project. Thanks for replying, James! I have lots of questions for you. Did the park have a name then? 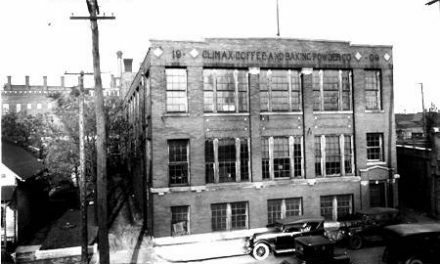 Do you remember a dentist or doctor who held out and the Schwitzer plant had to build around him? Do you have any photographs of the area? I have a few photographs of houses on the west side of Brookside Avenue but would like to find more. Also, do you remember the Feast of Lanterns in Spades Park? Hi James! — I was browsing through the comments here on HI and came across yours — Several months ago I purchased the house at 1122 Sterling (right across from “School 33,” now the Whittier Place Apartments?). Would you have known the family that lived in my home during the time period you went to School 33? I know there would have had to have been kids living there (I’m always finding old marbles and metal/plastic figurines in the yard). I’m hopefully trying to track down a photo of the house closer to the date that it was built. I see this post was first published in 2012, I was not a subscriber then but am now and really enjoy reading HI. My grandmother was born in a house near this little park in 1893. 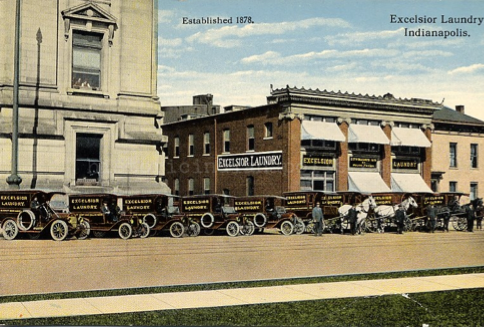 The address then was 100 Stoughton, now it would be 1604 E. 12th. My great grandfather bought the lot and had the house built, he did much of the finishing work himself. 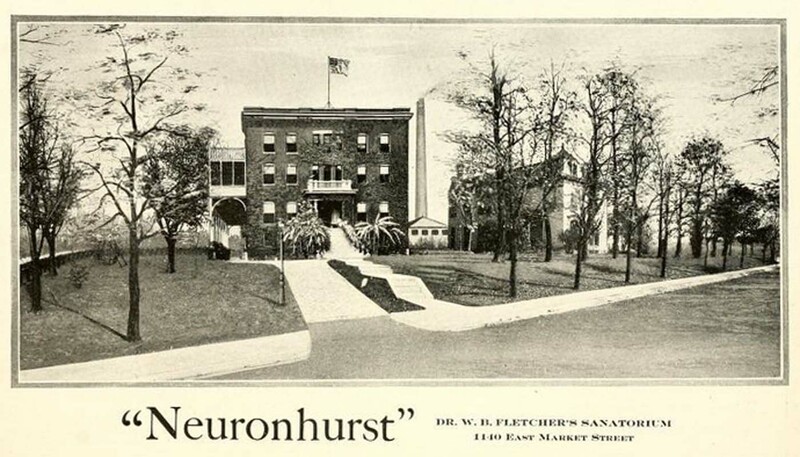 I have often wondered about the history of this green space and if it was somehow connected to the Fletcher family. 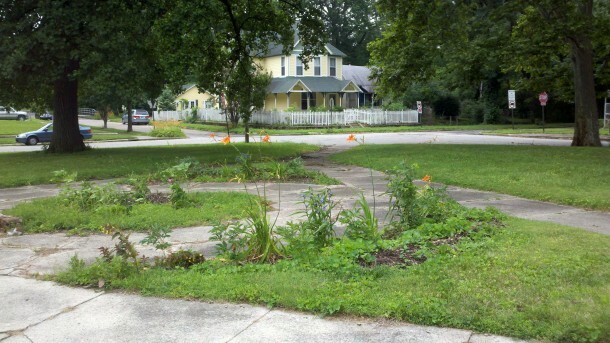 The Windsor Park neighborhood has done a nice job keeping this space green.